To enhance the security of your web space it is always a good practice to change the passwords at regular intervals of time. 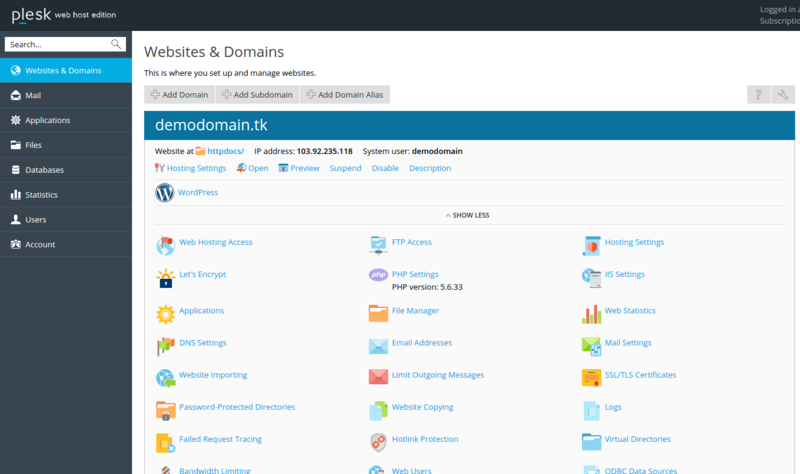 It could save you from your web space being hacked. 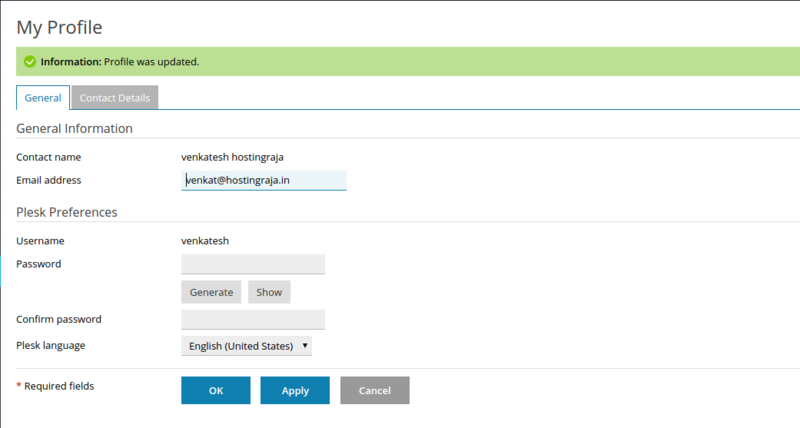 At Plesk panel, you can change the login credentials with some simple clicks. Make sure that the password you set is a difficult one and is easy to guess for the others. You can also take the assistance of a password generator to set a difficult password. Let’s take a look at the procedure to set the new password. 1. 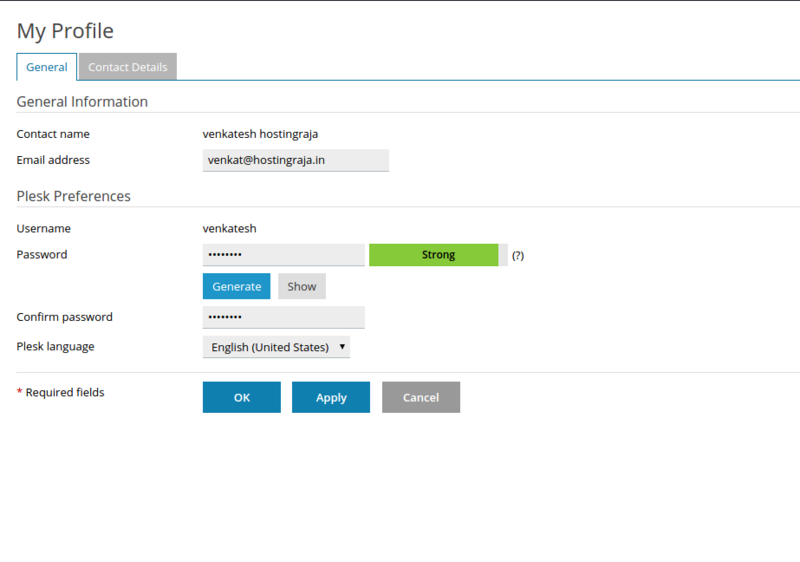 Login to the Plesk panel with your current credentials. 2. Click on the account in the left panel of the homepage. 3. Click on My Profile as shown in the figure below. 4. Enter your new password and confirm the same. 5. Click on Apply and the procedure ends here with the success message on the screen. 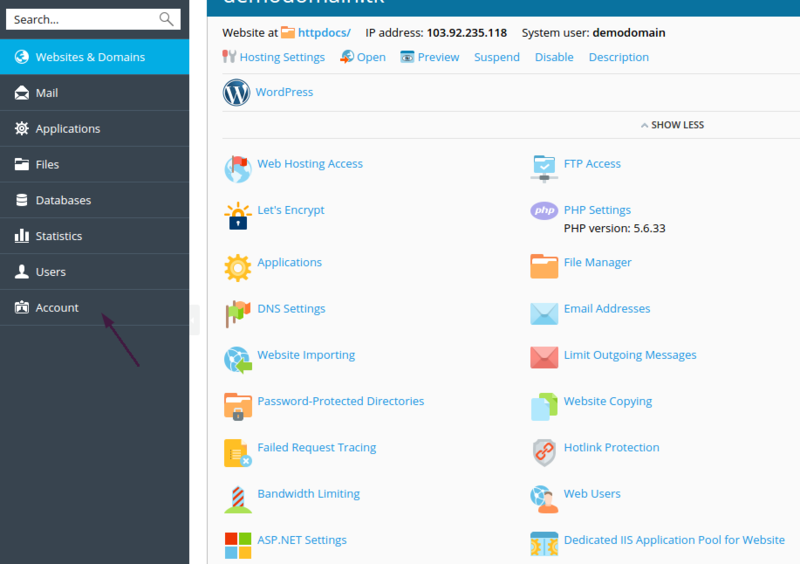 How to change the PHP version in Plesk panel?